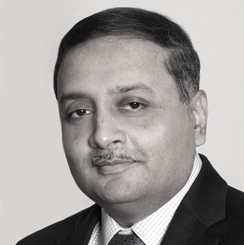 Somnath Ghosh joined TD Bank Group in 2001. He has held several different positions during the course of his career which includes expereinces in dealing with small business owners and professionals. This has provided him with in-depth financial and banking knowledge. As a Senior Private Banker since 2010, Somnath strives to provide clients with seamless access to an exceptional range of personal, financial and advisory resources. He has developed strong relationships with his client base and the community to provide comprehensive solutions for complicated financial situations. He brings in a unique, team-based approach, designed to integrate and simplify wealth management for affluent individuals. The services include estate, trust and tax services, business succession planning, investment strategies and investment management along with top of the line banking and credit management solutions. Somnath holds a Bachelor in Mechanical Engineering degree from Jadavpur University, India and has several years of experience in senior management roles prior to moving to Canada.